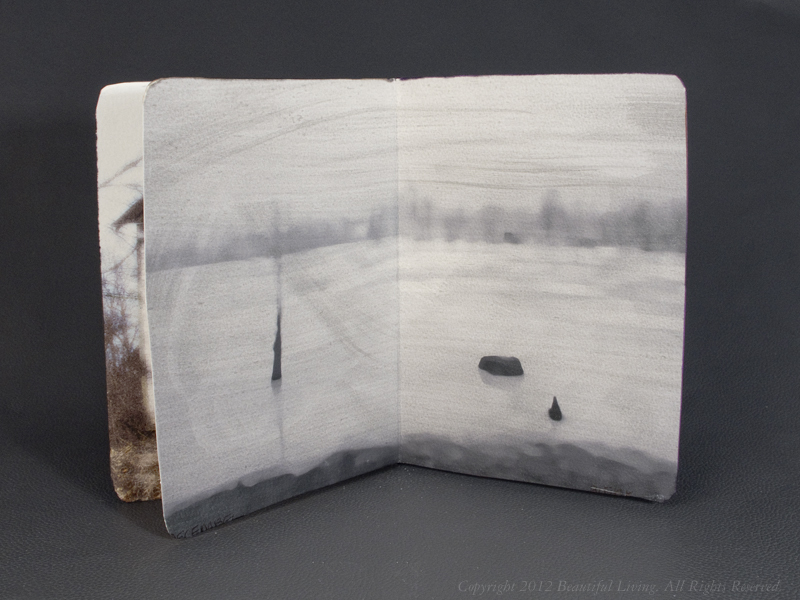 The Sketchbook Project 2013: Textures of Central Kentucky Throughout the Year. 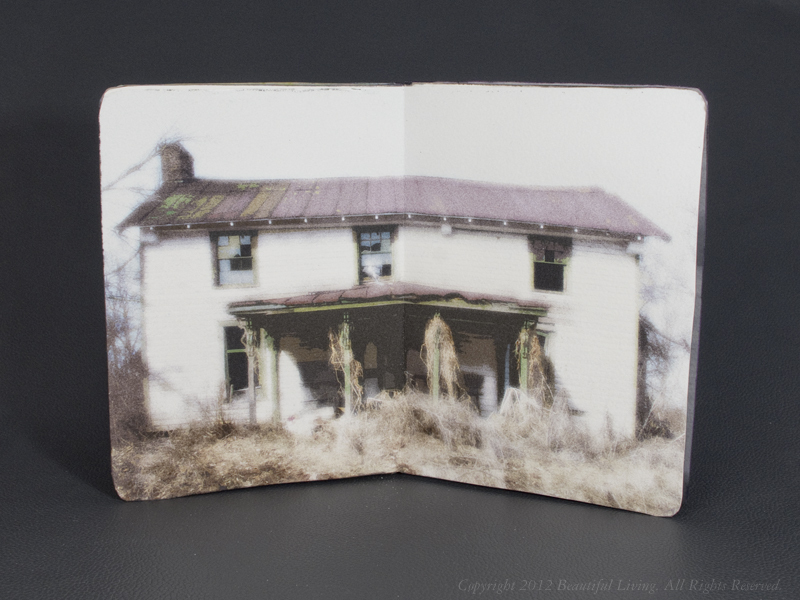 I recently submitted a sketchbook to The Sketchbook Project. 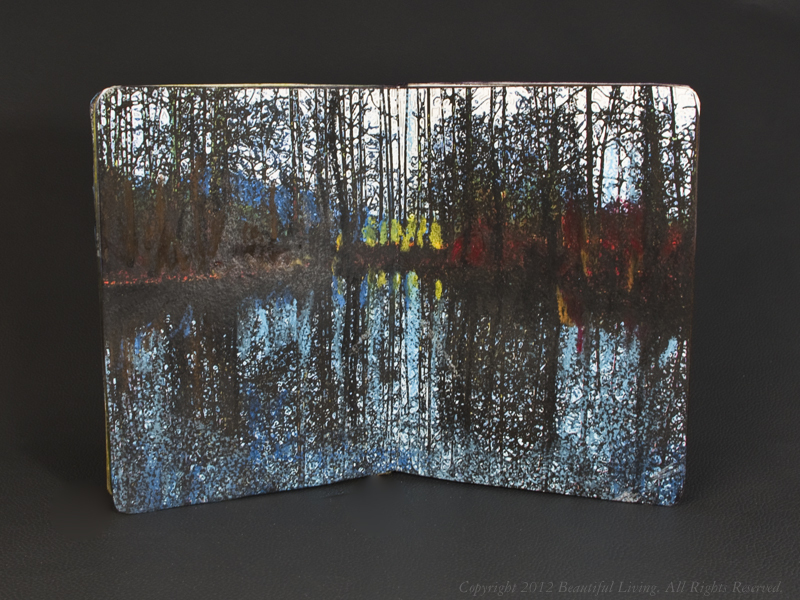 The Sketchbook Project is a global, crowd-sourced art project where participants from all walks of life are sent a sketchbook to fill the pages and return it for inclusion in a traveling exhibition and permanent collection at The Brooklyn Art Library. Anyone – from anywhere in the world – can participate in the project. This year the tour will head to Brooklyn, Austin, Atlanta, Toronto, Chicago, Portland, SF and LA! My submission included modified, digital photos I had taken around central Kentucky. I created twelve two-page spreads, each representing a month of out of the year. 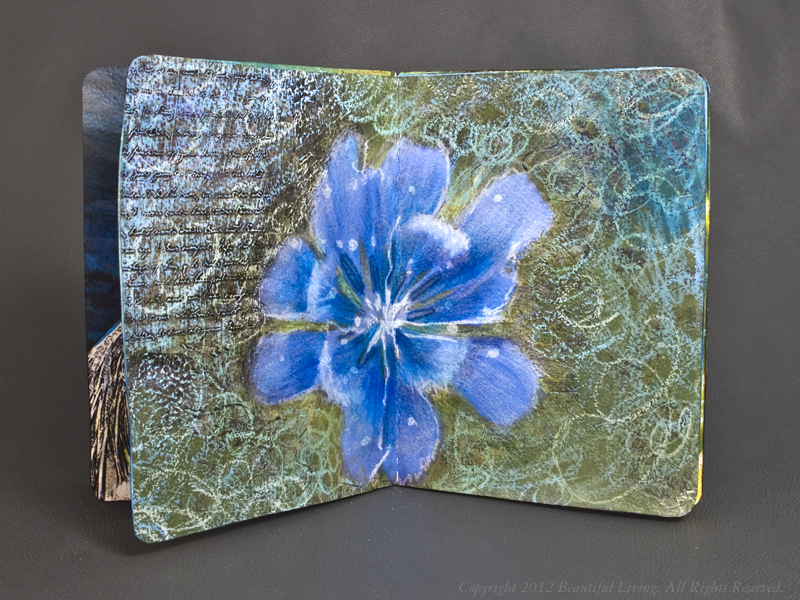 Each photo was printed on an Epson Ink Jet printer onto watercolor paper, and modified using pens, markers, oil pastels, gels and other artist mediums. 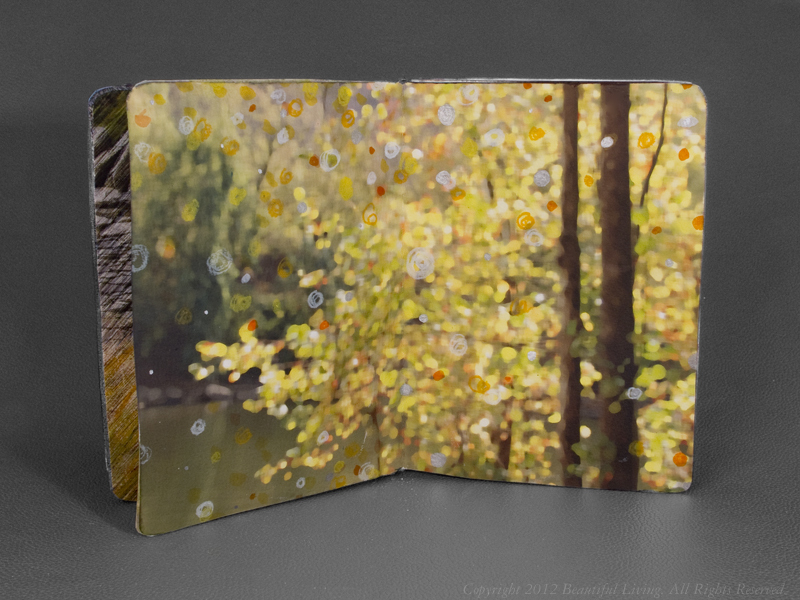 Once complete, the pages were bound into a book a wrapped with a modified cover photo of beautiful Cave Run Lake in Daniel Boone National Forest, Morehead, Kentucky. These are the pages in the book, starting with the cover, January, February and so on. To see the massive collection of sketchbooks at The Brooklyn Art Library, here is a link to the details: Brooklyn Art Library. If you want to get a closer look at my journal once you are there, the call number of my book is 194.12-9. Beautiful images of Central Kentucky. Thank you for sharing your work. Thank you, Barbara. There is so much beauty here that it is hard to imagine living elsewhere. Thanks, Ed. I really appreciate your comment. I look forward to doing more. wow!! These are really stunning. Thank you for sharing them with us. Beautiful !!!!!! Always knew you were a truly talented artist ! Hope to see more ! Thank you, Katy. 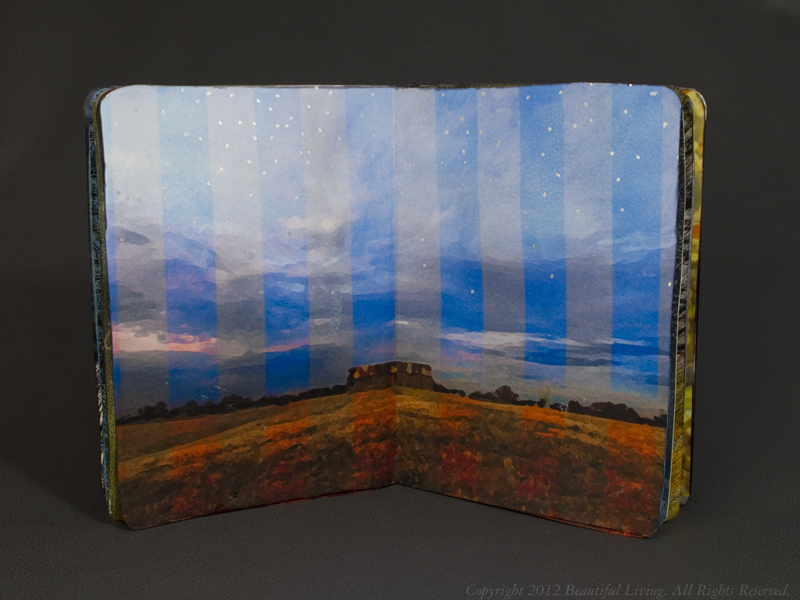 I am happy to meet another artist who has submitted a sketchbook to the project. You should post a link to your sketchbook here once it is up on the Sketchbook Project site. I would love to see it. Those pages are awesome! Every spread is so filled up with wonderful images. I’d like to participate in the Sketchbook Project next year; it’s cool that so many people have been involved already, and their works don’t have to be fancy. This was beautiful- your sketchbook is amazing. This is probably a dumb question but have you ever seen Peter Beard’s journals from his time in Africa? 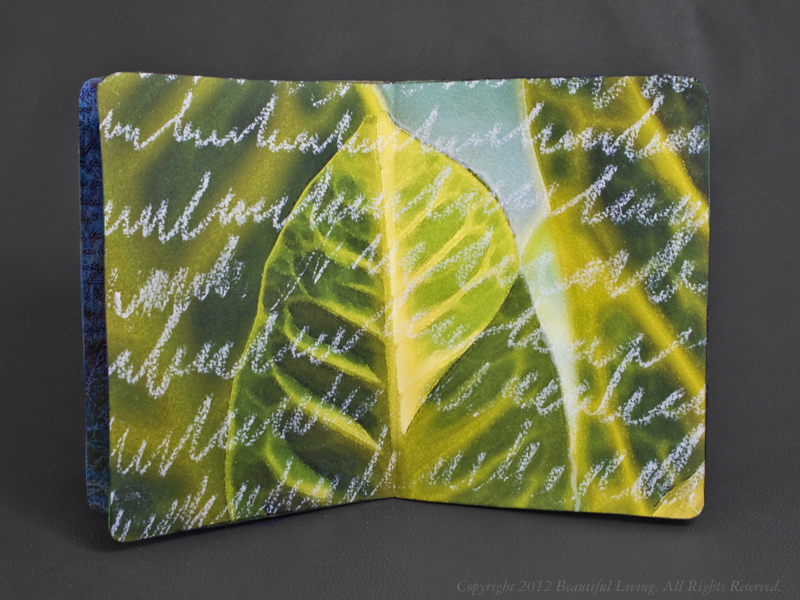 He made a statement that his journals added “texture” to his life. That’s what your sketchbook reminds me of. Thank you, Mark. Your comment really means a lot to me. Thank you for asking about Peter Beard, I had not seen his work before. 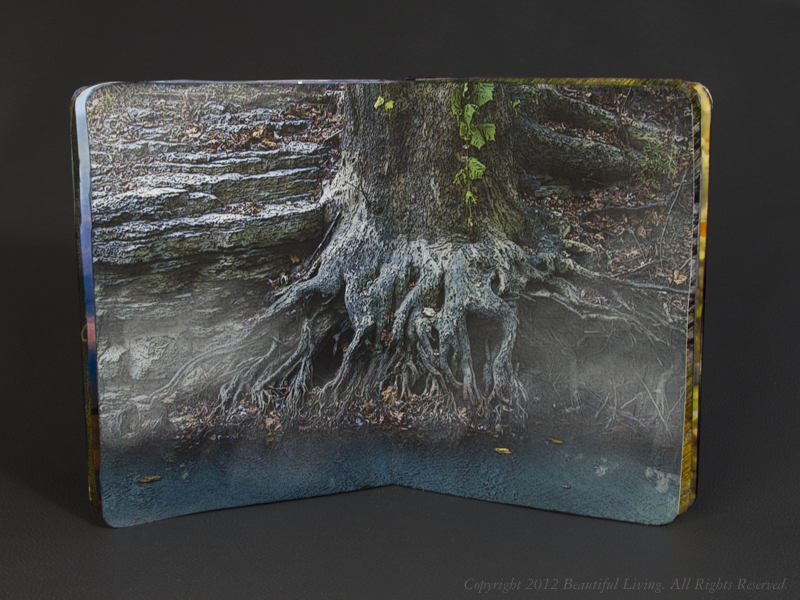 His journals look lovely and textural and I feel honored that you compared my work with is. I hope to do more of this kind of work in the future as the natural, unblemished country inspires me.